CEE JAY ELL: Mystery Prize Package...from the USA! Mystery Prize Package...from the USA! As you all might know, I was taking part in a group spending ban. You could all follow the groups progress using the #roseenospend. Some girls were doing it for thirty days, like myself, and others are still doing a sixty day spending ban! We were all paired up to spur each other on, and at the end of the swap, you got to send and receive a prize bundle from your partner! First off, Hannah - thank you so much for sending me this! I am so pleased with everything, and I love it all - I've tried almost all of it and everything is perfect! The shades you've picked are gorgeous, and are ones that I'd have chosen myself - great minds must think alike! I wish we had Wet n' Wild in the UK, and that candle....ohhhh it smells so good! 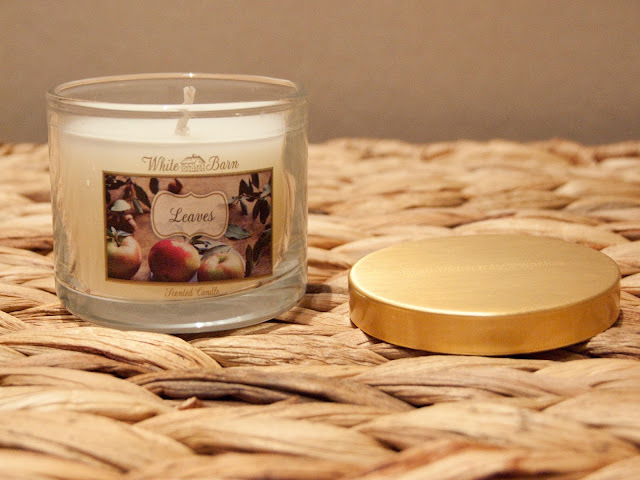 This is the Leaves candle from Bath and Body Works. It smells absolutely gorgeous, and not remotely like leaves. I can't remember what I thought it would smell like anymore, maybe crisp outdoors and maybe a bit of pine thrown in, but it's gorgeous spiced apple. I love this so much that I've already tracked down a site that sells it in the UK so that I can get a larger version! 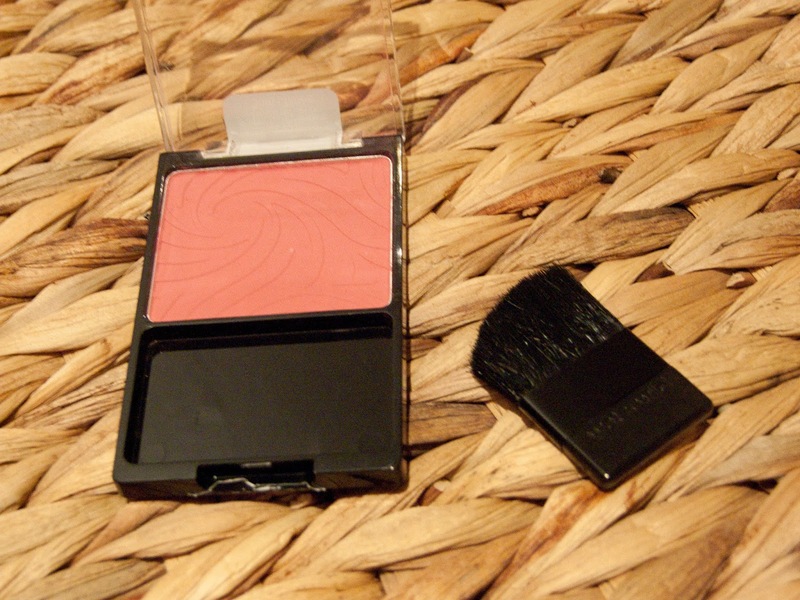 This blush is by Wet n Wild and is in the shade Heather Silk and Hannah has made the perfect choice! She said she chose this as it's a perfect fall shade, and I have to agree! I wore this today and it gives me that perfect flushed look. 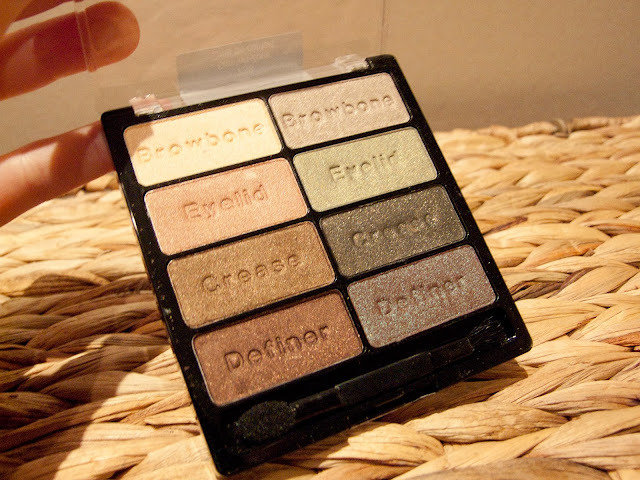 Another Wet n Wild product that Hannah bought for me is this amazing eyeshadow palette. I've seen a lot of reviews from other bloggers about these, and they're so distinctive with the embossed text for where to apply each colour. I have the Comfort Zone palette and sometimes you have the odd shade in a palette that you might not touch but I can see me using every single one of these shades. The left side is a perfect day look, and the right is a bit more dramatic! EOS is another brand that I have heard of, so I was really excited to see this in my parcel! 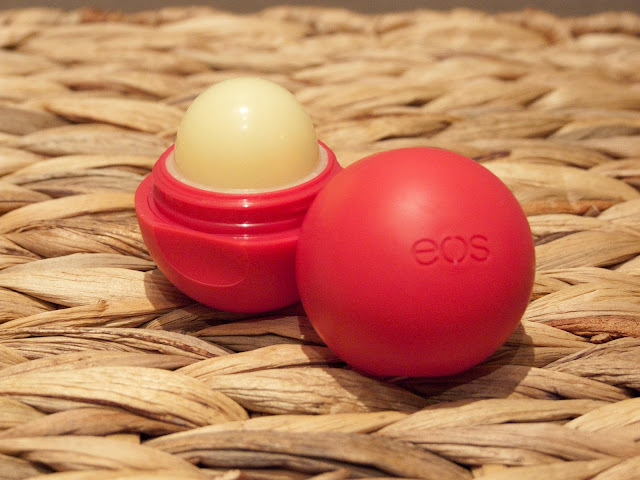 I have the Pomegranate and Raspberry flavour and it is so nice, I love the packaging and they are so much better than I had expected them to be; far better than your standard lip balm. I love this little sphere of goodness. If anything it's made me want to try our UK equivalent, the Balmi to compare which formula is better! Hannah also sent me a Covergirl Clump Crusher Mascara. 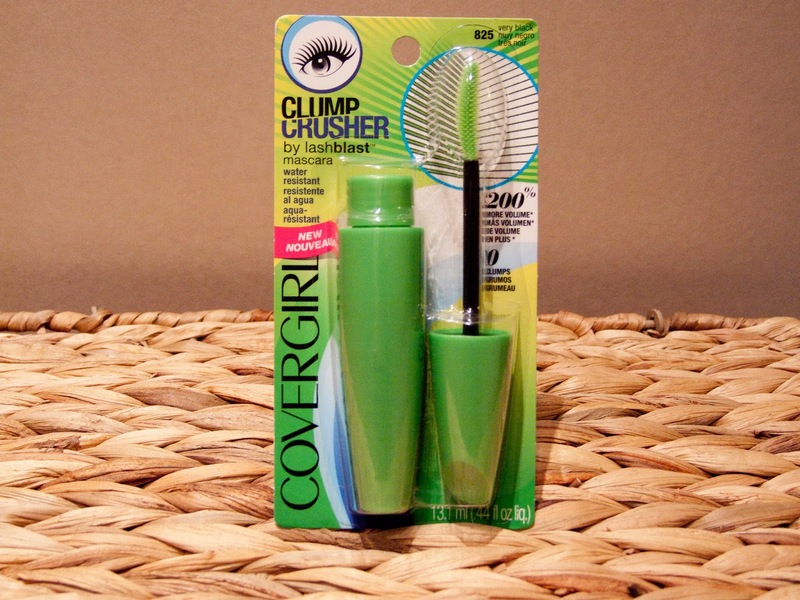 Covergirl is another brand that I have heard of, mainly when I've been watching America's Next Top Model as they usually win a contract to represent Covergirl! First thoughts are that I love being able to see the brush in the packaging, most of the mascaras I've bought always come with the wand ready in the tube, so this was an interesting change! I've tried this today and it has been so nice to wear! I also got sent a little packet of Extras chewing gum in the flavour Raspberry Vanilla Cupcake. I've actually not tried this yet, but it was such a nice little extra to get in the box! I've never had a sweet flavoured gum before so this could be interesting! 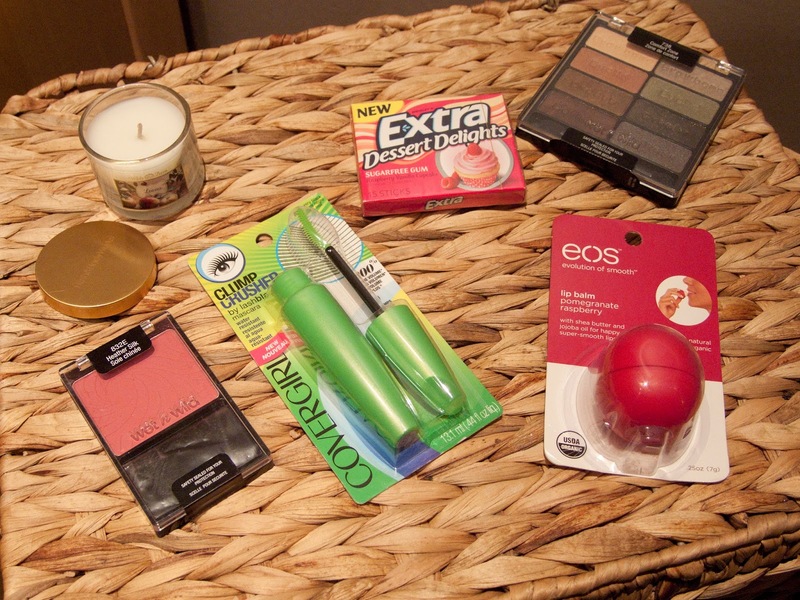 I'll be reviewing each of these products a little more in depth in the future, so keep an eye out! And thank you so much Hannah for everything! I can see you put a lot of thought into the box, and I'm very grateful! I really hope you like yours, please let me know what you think and keep in touch! Have you done a beauty swap before? Have you tried any of these products?